One of our most intense coffee pod drinks, our Ristretto Barista variety definitely one for those who love a full-bodied coffee! Short, dark and aromatic, Ristretto Barista is a deliciously strong espresso that’s bursting with a bold, rich taste. Well-balanced, yet robust, this espresso capsule drink is wonderful at any time of the day. Whether you love a morning espresso or enjoy savouring a coffee after dinner, Ristretto Barista is made to be enjoyed, whatever your style. But these espresso pod coffees don’t just taste great, they look great too. Because of the maximum 15-bar pump pressure in our stylishly designed coffee machines, your espresso is topped with a velvety layer of crema, making it truly look (and taste!) like a work of art. With all the style of a coffee shop drink and equally as delicious, Ristretto Barista is super simple to make at home. And what better way of making the most of your creation than by presenting it in one of our sleek espresso cups? With the luxury of barista style coffee any time you want, Ristretto Barista is definitely one to add to your coffee capsule collection. 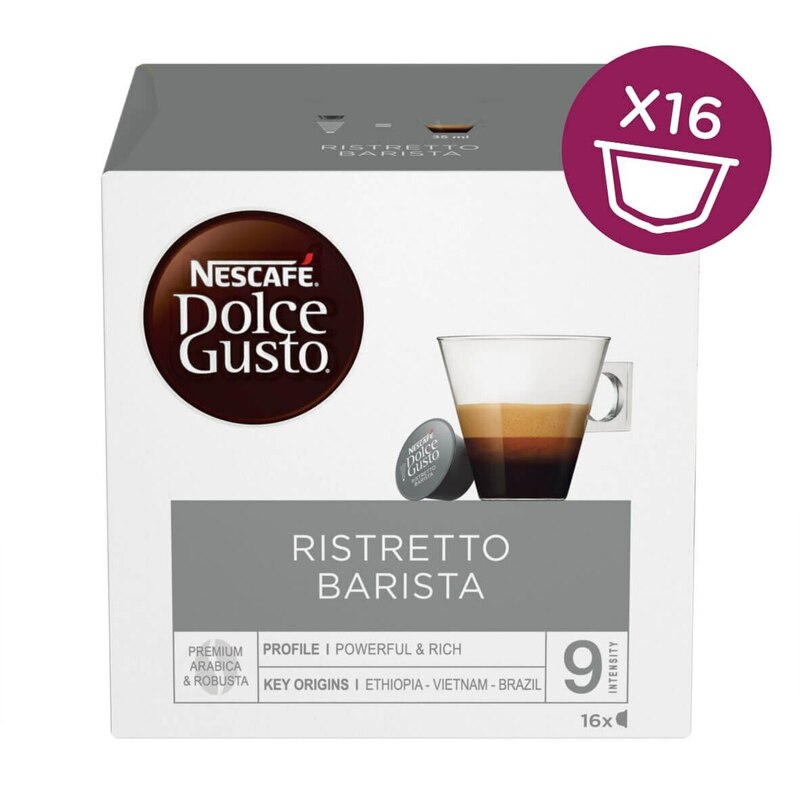 And if you love the intense taste of our Barista coffee, you’ll love our Espresso Intenso pod coffee too. A tiny shot of nectar,strong,intense,and hits the spot,I will try having 2 shots with hot milk for a longer drink. A real gem of a coffee. Short, strong and hits the spot. Take with a sugar and enjoy the taste. Rival to cafe coffees out there. One of the best of the range. I don't really know what more to say. This coffee is a total success. It's strong enough, it's perfect for morning caffeine kick, it's rich in flavour, velvety texture. Beautiful crema. Great stuff. One of the pods that I try never to run out of. Well done! I love the after taste of this Coffee and have it has intended or a long drink. Either way is a very welcome change. ...simply put, the best espresso and closely matches the one i cherish when out ! This is an excellent coffee. The product description is spot on - a full bodied coffee with bold rich taste... and the crema is absolutely amazingly smooth. The aroma from the small shot is heaven and is motivation to get out of bed each morning. If you prefer strong rich coffee then this is the one to get. You won't be disappointed!! 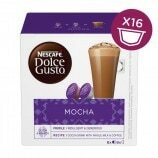 Coffee heaven for the price of a freddo! Tried all the espresso pods and this is my favourite.